Nothing is more irritating than the burning, itching sensation of hives. And trying to stop from scratching and damaging your skin can feel impossible. 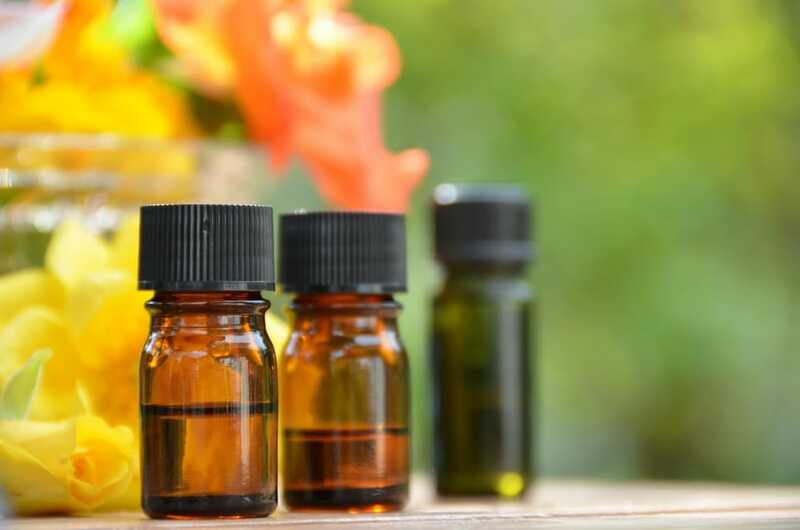 Although there are medications available to treat hives, essential oils can offer a more immediate, soothing relief that many people who suffer from chronic hives crave. Not only that but they are a natural remedy and as such far better for you than over the counter, store bought relief. This post will walk you through the best essential oils for treating hives and how to use them effectively. 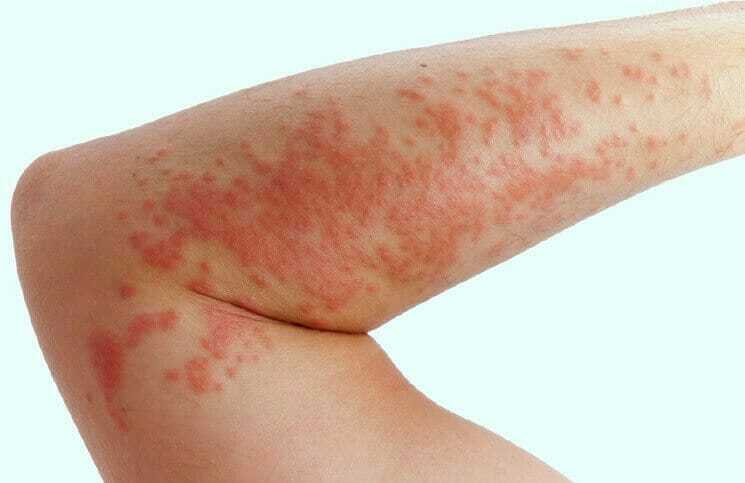 Urticaria, or “hives”, is an outbreak of swollen, pale red bumps on the skin. They appear suddenly either as a result of the body's reaction to certain allergens, or for unknown reasons. But they are irritating and they can drive you mad if you let them. They’re fairly common, with around 20% of people suffering with them at some time in their life. So don’t panic, you’re not a weirdo and you’re not alone. Hives usually cause itching, but may also burn or sting. They can appear anywhere on the body and vary in size. They may even join together to form large areas known as plaques. They can last for hours, or up to one day before fading. However, chronic hives, also known as chronic urticaria, can last for months or even years. For some people, the condition recurs on a regular basis. While chronic hives is not contagious or life-threatening, it can cause a lot discomfort, pain and stress. Allergic hives form when blood plasma leaks out of small blood vessels in the skin in response to Histamine. Histamine is a chemical released from specialized cells along the skin's blood vessels. Hence why anti allergen medication is referred to as an antihistamine. Hives can be unsightly and extremely uncomfortable. Fortunately help is at hand. There are some essential oils that can help get your hives under control. Essential oils are extracted from the roots, seeds, flowers, and stems of certain botanical plants. They offer a whole host of natural health benefits. They can relieve the symptoms of almost any ailment and help alleviate sleep disorders and relax the body and mind. Research shows that lavender oil improves pain tolerance and ginger oil lowers levels of nausea. Another study found lemon balm eased agitation in those with severe dementia. And many essential oils contain specific properties that can relive your itching and discomfort. Some essential oils are anti-inflammatory, pain relieving and have antihistamine properties that can calm hives quickly and effectively. So no need to rush to the drug store to get some synthetic remedy in order to get rid of the pain. Instead reach for a natural remedy. Below are some of the best essential oils for treating hives. Peppermint essential oil one of the most popular oils for treating hives as it contains anti-allergenic and anti-inflammatory properties. Not only that but it smells great. This refreshing oil soothes inflamed skin and alleviates burning and itching. To get the benefit of this soothing oil, you can make a cooling spray and apply it as a mist to the affected areas. 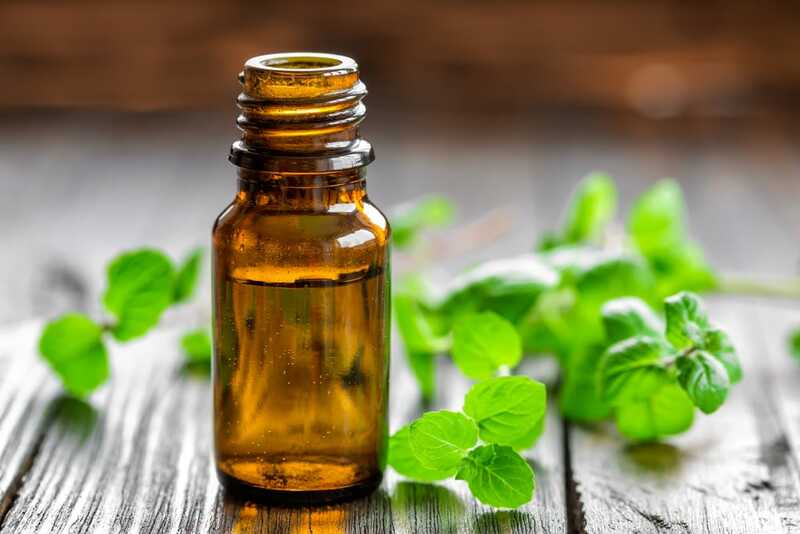 In a spray bottle, mix five drops of peppermint essential oil with one cup of distilled water and shake well. Then simply spray the affected area whenever you need. This is one of the most well-known essential oils. It has no end of soothing properties so it is no wonder, that it holds the ability to relieve hives. Most commonly associated with helping people to sleep, something it excels at, It also contains antiseptic properties, which naturally remove irritants and microbes that may cause hives. It also has the added benefit of relieving stress and anxiety, helping you to remain calm and relaxed during an outbreak. 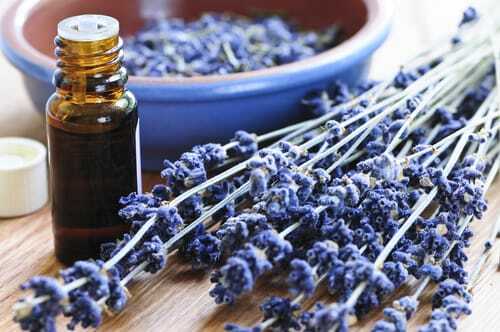 For the best results, use your lavender oil to make a healing lavender bath. Add 6-7 drops of lavender essential oil to a warm bath. Make sure you don’t have the water too hot, as this may irritate your skin more. Then have a relaxing soak for a half hour. By completely enveloping your body in the oil carried by the water you will make sure that all affected areas are treated equally and evenly. This should soothe your itchy skin and give you relief from hives. 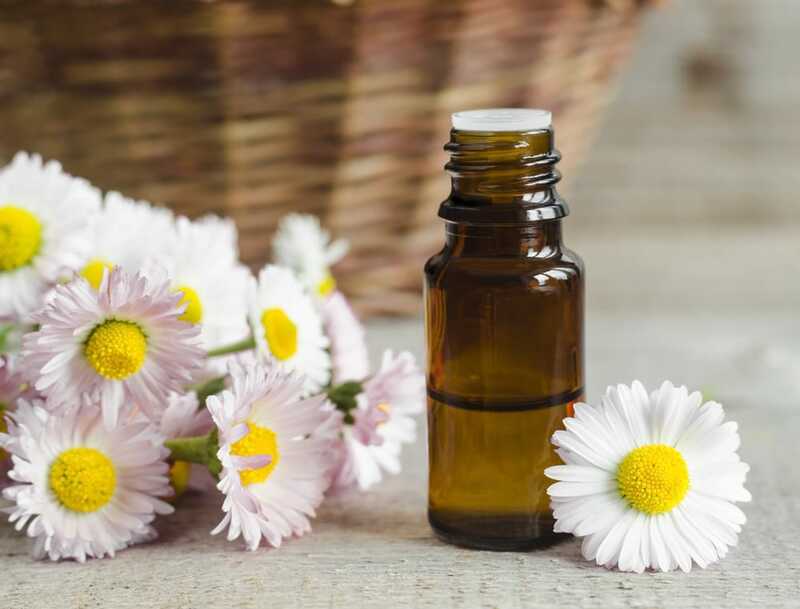 Chamomile essential oil helps heal a host of skin conditions such as hives, rosacea, psoriasis, eczema, and inflammation. It’s anti-inflammatory and has been shown to kill the bacteria. The study tested 10 popular essential oils like ginger, lemon, grapefruit, thyme and cinnamon. The results showed very little oil – in the order of a 0.125% concentration – was needed to kill the bacteria. This makes it a potent oil for treating hives. To benefit from the antibacterial effects of chamomile, mix 5-6 drops with an ounce of coconut oil (or other carrier oil of your choice). Apply this mixture three times a day directly to the affected area. This cooling oil will help relieve itchiness and speed up healing. Lemon essential oil is a natural antiseptic, making it a perfect for reducing irritation and inflammation. It also can be used as a natural cleanser too, and it smells great. There is no down side. Rich in antioxidant properties, lemon essential oil is a great solution for hives, especially if brought on by insect bites. Mix 2-3 drops of this oil in a carrier oil and apply to the affected area three times a day. Lemon essential oil may cause photosensitivity, so try to avoid direct sunlight to the skin after use. Maybe take advantage of the relax Lemon oil will bring and take a nap. This essential oil contains antimicrobial and anti-inflammatory properties which are beneficial for inflamed, itchy skin. Myrrh essential oil is also a fungicide, so can kill any fungi that may be responsible for causing an allergic reaction to the skin, and help combat athletes foot if you are suffering with both. The best way to use myrrh essential oil to treat hives is to make a balm. Put an ounce of Shea or Coconut Butter into a glass jar. Slowly heat until the butter starts to soften. Once soft, add 5-6 drops of Myrrh essential oil and stir. Allow the mixture to harden for an hour. Apply the balm directly to the affected area up to three times a day to give an instant hit of relief. Tea Tree is another well-known essential oil. It has antiseptic and antimicrobial properties that can naturally treat microbes responsible for hives. Tea tree oil also contains anti-inflammatory and antibacterial properties, which help prevent infection and reduce redness of the skin. Tea tree oil not only helps to naturally remove bacteria, but is also speeds up the healing process, giving your skin a much-needed break. To use tea tree oil, first rinse the area with cool water. Mix 1-2 drops of tea tree oil in a coconut or castor carrier oil and apply directly to the affected area up to 3 times a day. Mix all the essential oils and carrier oil in a dropper bottle or jar with 15 ounces of cold water. Soak a clean cotton cloth in the mixture and apply directly to the affected area for relief of itchiness, pain, and inflammation. Repeat this step as many times as needed. Although essential oils are natural remedies, they can be potent and must be used with caution. Some are acidic, others can cause irritation to your skin in large quantities.Below are some consideration you need to make when using oils to treat your hives. Always consult a physician before using essential oils to treat any ailment or skin condition. If your hives are accompanied with swelling of the tongue, lips, and face, as well as dizziness, difficulty breathing, tightening of the chest and wheezing, see a doctor immediately. These symptoms may be indicative of a more serious problem. Essential oils are highly concentrated and extremely powerful; so always dilute essential oils with a carrier oil or water before application. Pregnant or breastfeeding women should not use essential oils unless under the direct supervision of a physician. Always do a skin patch test before using essential oils to ensure that you are not allergic prior to treatment.